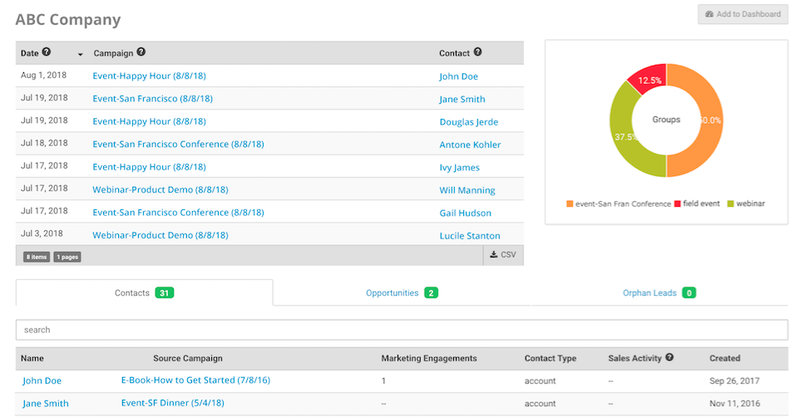 Terminus has released new product announcements tied to the growing need for account-based companies to better understand their target account lists, how they engage with potential customers and how it impacts sales conversations. The company’s new launch, Account-Based Platform, is designed to help marketers better plan, execute and measure account-based marketing and sales efforts. The company stated that the platform is designed to be a central hub that can help customers identify and prioritize target accounts, engage buying committees with multichannel programs, share account insights with sales, as well as measure and report success. Account Hub, which is designed to centralize target account data for marketers to build and manage account lists. It brings together fit, intent and engagement data, as well as other first and third-party data sources. Account-based Engagement, which extends Terminus’ account-based display advertising to include LinkedIn Sponsored Content, international targeting and multi-channel triggers for new tactics such as high-touch direct mail, personalized video, events, marketing nurtures and sales cadences. Sales Insights, which can activate the sales organization by pushing account-level engagement data directly into the CRM. The engagement score prioritizes the most engaged accounts, even if they are browsing anonymously, to help start a conversation before they ever fill out a form. Account-based Analytics, which aims to provide a full suite of measurement and reporting capabilities, from the executive-level ABM Scorecard, to tactical Campaign Analytics and Opportunity Insights.